Film Plot: Five friends visiting their grandfather's house in the country are hunted and terrorized by a chain-saw wielding killer and his family of grave-robbing cannibals. Grade: C9	Near Mint. Rolled, single-sided. 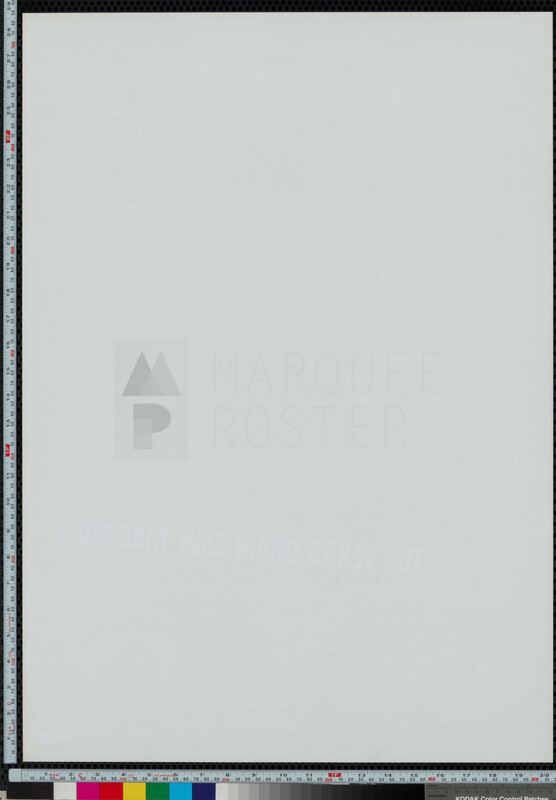 Unused poster with very minimal handling/edge/fold wear, a barely there creased corner in the upper left. 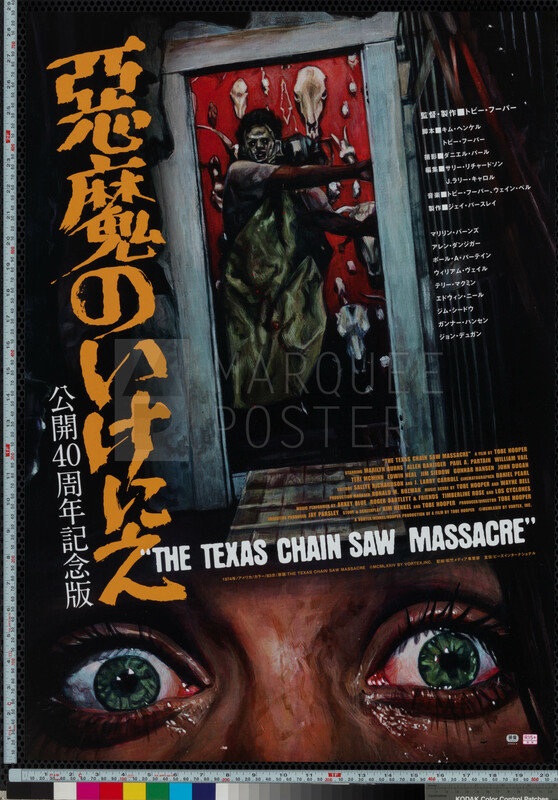 TCM consistently ranks as one of the most terrifying films of all time and this re-release B2 from Kaneko Nanpei captures the mood perfectly.